May | 2010 | BONKERS IN HONKERS! 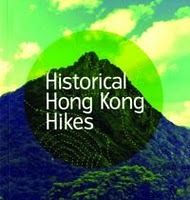 Two weeks ago we decided to finally avail of our book we bought sometime last year called Historical Hong Kong Hikes. It’s quite a good book written with plain instructions on where to go and with nice nuggets of historical information thrown in here and there when you pass certain areas on the walk. Being weird we started off with number 2 in the book. The Peak to Wan Chai Gap. It was a pleasant two hour stroll with a lot of downhill parts which were hard work on the old legs. Not a lot of traffic and the peace only occasionally disturbed by locals feeling the need to shout to one another while walking side by side. It’s weird. The Hong Kong Government love bulldozing and cementing anything that’s green coloured but actually in some parts of the walk where a little lookout perch could be placed by cutting a few branches, there are none. As you come around the south side and get peeks of Aberdeen and Ocean Park in the distance you have to scramble up rocks to get a decent view. Some fancy building at the start of the hike. Think it’s in Kennedy Town. Anyone know what it is? A peak over Aberdeen Marina to Ocean Park theme park. My lens and sensor on my poor old Nikon D70 is so dirty. It’s so dirty even going through it in Photoshop would take eons. Shot through a pylon and barbed wire, so sorry about that. Nice story to the Matilda Hospital. Although at the start the dude only wanted it to serve English patients. I think. Coming back down to earth towards Wan Chai. We finished off in King Ludwig’s German bar where I had a schnitzel and a Loewenbrau to bring back the German memories. Prost!